This February 25, 2014 solar event was a major X-class (X4) solar flare and coronal mass ejection (CME). 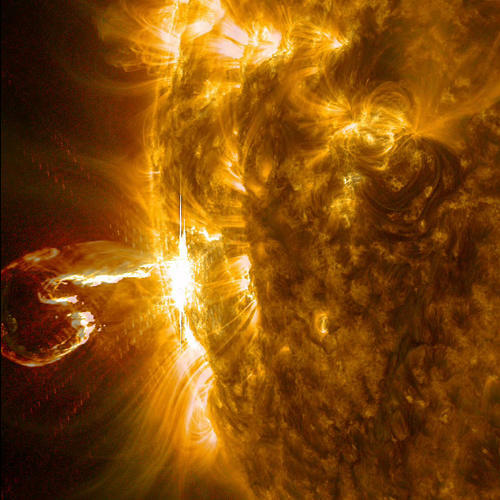 The image captured by NASA’s Solar Dynamics Observatory (SDO) shows the massive and powerful x-class ejection from the Sun, which looks a lot like a shrimp. Thankfully there was no major damage to electrical systems on Earth or on the many satellites in orbit.